Venezuela builds health sovereignty, in defiance of the U.S. government | Fight Back! 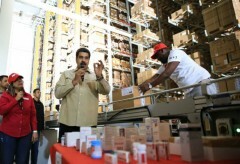 Chicago, IL - On March 20, president of the Bolivarian Republic of Venezuela Nicolás Maduro visited Jipana, a large automated warehouse in the state of Miranda. Built with the cooperation of Chinese experts, Jipana - made up of five warehouses across Venezuela - has the capacity to store and distribute 100% of the antibiotic, hypoglycemic, hypertensive and analgesic needs for the tens of thousands of free community clinics that make up Mission Barrio Adentro, as well as all of the anti-malarial, anti-retroviral, anti-parasitic and contraceptive needs of the Mission's nationwide ambulance service. 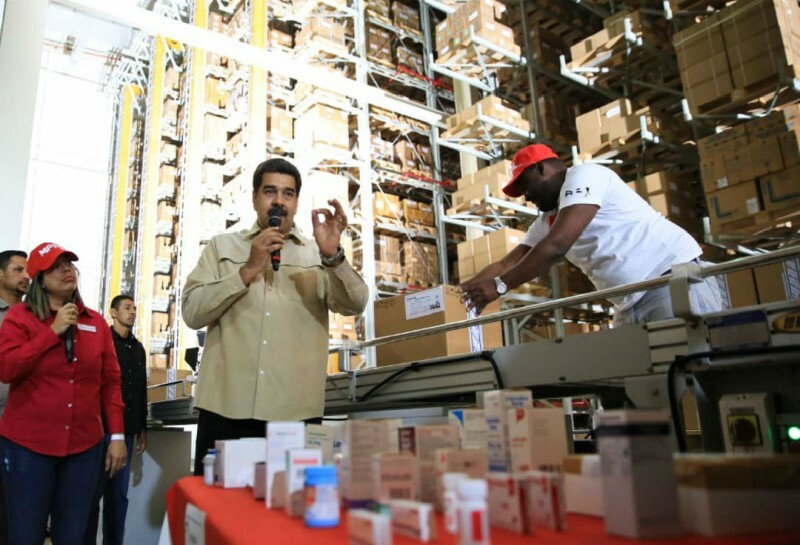 While at the warehouse, Maduro called for the launching of the "Pharmaceutical Engine," a plan of production and distribution "to guarantee that U.S. imperialism cannot have an impact on our medicine, on the health of the Venezuelan people." He appointed Dr. Henry Ventura, the director of the Latin American School of Medicine (ELAM) in Cuba, to head the Engine, and tasked him with preparing an import substitution plan for the active ingredients that Venezuela has had to buy from abroad in order to produce the medicine its people need. Maduro also called on ministers Tareck El Aissami and Aristóbulo Istúriz to form a workteam to establish a fixed pricing system for pharmaceutical goods, backed by direct subsidies to the poorest Venezuelans. "A tremendous effort is being made so that free quality health care reaches the workers, and the people in general," he added. Maduro made sure to point out the international alliance that gives Venezuela the ability to build health sovereignty. "We have a deep alliance with our comrades in the Republic of Cuba, with the Cuban health missions, an alliance with China, Russia, India and now with the World Health Organization."